In the human rights field, 2010 was a year both of continuity and reform: from the 10th anniversary of the European Charter on Fundamental Rights and the quickening pace of the EU’s accession to the European Convention on Human Rights to the reform of the Human Rights Council. 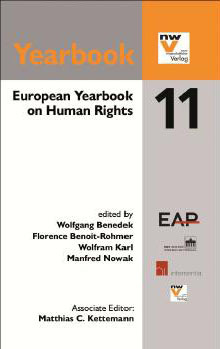 Edited jointly by representatives of four major European human rights research, teaching and training institutions, the Yearbook 2011 contains extensive sections on developments in the field of the three main organizations charged with securing human rights in Europe: EU, Council of Europe and OSCE. A further chapter contains contributions on the role of civil society in human rights protection and on cross-cutting topics. Holistic in its approach, but detailed in its analyses, the European Yearbook on Human Rights 2011 provides its readers with a comprehensive overview of the human rights situation in Europe in 2010. The impressive array of authors – academics and diplomats, practitioners and human rights experts – makes the book essential reading for anyone interested in human rights in Europe and beyond. Extraterritorial application of the ECHR to Turkey in northern Cyprus in a whole scale manner is misplaced. Given the underlying reasoning behind the effective control standard that is linked to notions of international humanitarian law and occupied territory, and accounting for a historic understanding of the situation in northern Cyprus and how it developed, it is conceivable that Turkey should not maintain the full gamut of obligations under the ECHR. A Member State in which an asylum application has been lodged is obliged to exercise its right to examine that asylum application under Article 3(2) of Regulation No 343/2003 where transfer to the Member State primarily responsible under Article 3(1) in conjunction with the provisions contained in Chapter III of Regulation No 343/2003 would expose the asylum seeker to a serious risk of violation of his fundamental rights as enshrined in the Charter of Fundamental Rights. Serious risks of infringements of individual provisions of Council Directive 2003/9/EC of 27 January 2003 laying down minimum standards for the reception of asylum seekers, Council Directive 2004/83/EC of 29 April 2004 on minimum standards for the qualification and status of third-country nationals or stateless persons as refugees or as persons who otherwise need international protection and the content of the protection granted and Council Directive 2005/85/EC of 1 December 2005 on minimum standards on procedures in Member States for granting and withdrawing refugee status in the Member State primarily responsible which do not also constitute a violation of the fundamental rights of the asylum seeker to be transferred are not sufficient, on the other hand, to create an obligation on the part of the transferring Member State to exercise the right to assume responsibility for the examination itself under Article 3(2) of Regulation No 343/2003. The obligation to interpret Regulation No 343/2003 [the asylum regulation at stake, A.B.] in a manner consistent with fundamental rights precludes the operation of a conclusive presumption according to which the Member State primarily responsible for examining an asylum application will observe the asylum seeker’s fundamental rights under European Union law and all the minimum standards laid down in Directives 2003/9, 2004/83 and 2005/85. The Member States are not barred, on the other hand, from proceeding from the rebuttable presumption, in applying Regulation No 343/2003, that the asylum seeker’s human rights and fundamental rights will be observed in the Member State primarily responsible for his asylum application. Thus, before sending back, a determination should be made whether a serious risk of violation of fundamental rights exists, starting from the rebuttable presumption that such rights will be guaranteed. Thus, in principle mutual trust still exists, unless there are indications otherwise, but the trust is not a blindfold anymore. States are not required to actively establish in advance whether the asylum's seeker's rigths are fully guaranteed, but they are under an obligation to take into account (and act accordingly) indications of serious risks of violations. Let us see whether the Court of Justice of the European Union will follow this opinion! The international legal framework regulating the problem of human trafficking contains the presumption that the return of victims of human trafficking to their countries of origin is the standard resolution for their cases. However, victims might have legitimate reasons for not wanting to go back. For those victims, resort to the legal framework of the European Convention on Human Rights could be a solution. I elaborate on the protection capacity of Article 3 when upon return victims face dangers of re-trafficking, retaliation, rejection by family and/or community and when upon return to the country of origin victims could be subjected to degrading treatment due to unavailability of social and medical assistance. In light of the Rantsev v. Cyprus and Russia case, I develop an argument under Article 4 that states cannot send victims to those countries which do not meet the positive obligations standard as established in the case. Article 8 could be relevant: first, when the level of feared harm in the country of origin does not reach the severity of Article 3 but is sufficiently grave to be in breach of the right to private life and engage the non-refoulement principle, and second, when the victim has developed social ties within the receiving state and the removal will lead to their disruption. Network neutrality concerns a heated debate on the role of Internet Service Providers (ISPs) as a potential gate keeper for Internet access of end-users and online content providers. In line with standard practice in European telecommunications policy the European regulatory response to the issue of network neutrality has been framed mainly in economic terms. At the same time, European civil society organizations have interpreted network neutrality in terms of fundamental rights, particularly freedom of expression. Moreover, while the amended regulatory framework for telecommunications now includes explicit references to fundamental rights, it remains unclear if and how fundamental rights should be applied to network neutrality disputes. This article relates network neutrality to the rich body of Art. 10 ECHR case law, and asks to what extent this jurisprudence is of relevance to network neutrality discussions. The findings of this research reveal that the claim that network management by ISPs would violate end-users’ freedom of expression is less straightforward than often assumed. Moreover, the opposite case in which network neutrality regulation violates ISPs’ freedom of expression is less far-fetched than it may seem. These conclusions are meant to move the European discussion on network neutrality and fundamental rights beyond rhetoric, towards a more substantial and analytical approach. Usually it's difficult to assess how many people read one's academic work. 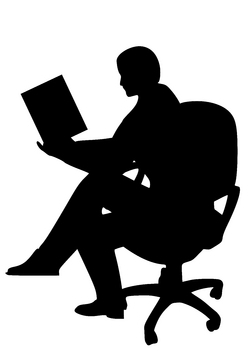 But the online open access database SSRN offers the possibility to see at least how many people download articles and thus show initial curiosity in a certain article. I am happy to note that my article 'The Pilot Judgment Procedure at the European Court of Human Rights: Possibilities and Challenges' which originally appeared in the Greek law journal Nomiko Vima is now the most downloaded article concerning the ECHR on SSRN. Thanks to all readers! La Cour européenne des droits de l’homme peut être saisie de demandes de mesures provisoires. Cette procédure est de plus en plus usitée, alors que la Cour éprouve les pires difficultés pour juguler le développement exponentiel de sa charge contentieuse ordinaire. Cette procédure reste cependant encore relativement méconnue. elle est, dans certains cas, mal utilisée. Il faut dire que les mesures provisoires sont assez peu réglementées – elles sont même ignorées par le texte de la Convention européenne des droits de l’homme – et la jurisprudence de la Cour en ce domaine n’est malheureusement pas publiée. C’est dans ce contexte que la Conférence du jeune barreau de Bruxelles a, en collaboration avec l’institut des droits de l’homme du barreau de Bruxelles, pris l’initiative de consacrer un colloque relativement à ces mesures. Ce colloque, dont le présent ouvrage comprend les actes, s’est tenu le 18 mars 2011 à Bruxelles et a réuni, autour d’une même table, un panel d’experts composés d’académiques, d’avocats mais aussi d’agents du gouvernement et de membres éminents de la Cour, lesquels ont pu échanger leurs expertises et leurs pratiques, faire part de leurs critiques et formuler d’utiles recommandations. The judges of the European Court have elected a new vice-president, Josep Casadevall, the judge in respect of small Andorra. In addition, a new Section President was elected: Lech Garlicki, the judge in respect of Poland. Casadevall will serve until 31 October 2015 and Garlicki until 31 October 2012. For more information on the judges, see here. The doctrine of the margin of appreciation, despite being repeatedly used by the European Court of Human Rights, is still to some extent mysterious. Given the doctrine's ambiguity, this article first endeavours to describe it and identify its different usages. It then argues that there is an inflation of the doctrine by its unnecessary application in a number of cases. This excessive use is considered to be unfortunate because the doctrine has a role to play in specifically circumscribed circumstances where it varies the strictness of scrutiny conducted by the Court. Based on the existent case law of the Court, the article provides a set of distinct tests that the Court can apply when invoking a particular margin of appreciation and argues for a predictable and consistent use of the doctrine. Le présent article est la version écrite de l’intervention faite par l’auteur lors du séminaire tenu le 28 janvier 2011 au siège de la Cour européenne des droits de l’homme et organisé par celle-ci à l’occasion de son audience solennelle de rentrée de 2011, sous le thème «Quelles sont les limites à l’interprétation évolutive de la Convention européenne des droits de l’homme ? ». 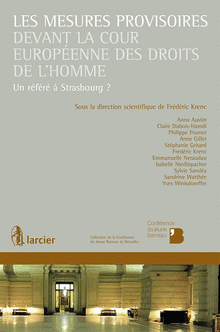 L’article propose de dépasser l’affrontement entre la jurisprudence de la Cour européenne des droits de l’homme et les cultures nationales en concevant leurs relations comme une mutualisation de la fonction tierce (I). Ni rapport hiérarchique ni simple dialogue, l’impératif de coopération repose sur une reconnaissance mutuelle entre les juridictions nationales et la Cour européenne (II), qui fait passer le cadre implicite des limites à l’interprétation évolutive, de l’espace au temps (III). L’article 1er du Protocole n° 1 de la Convention européenne des droits de l’homme garantit à toute personne physique ou morale le droit au respect de ses biens. La Cour européenne des droits de l’homme considère l’imposition et les mesures d’exécution y relatives comme une ingérence dans le droit de propriété énoncé dans la disposition précitée. La Cour a développé une jurisprudence relative à la compatibilité de telles mesures avec notamment les exigences de légalité et de proportionnalité. Bien que la Cour laisse aux Etats une large marge d’appréciation en ce qui concerne les taux d’imposition, les procédures d’exécution sont susceptibles de faire l’objet d’une étroite surveillance. D’autres garanties inscrites dans la Convention, comme l’interdiction de discrimination, pourraient renforcer l’Etat de droit en matière d’imposition. La présente étude se propose de mettre en lumière les potentialités souvent sous-estimées de la protection que la Convention européenne offre aux contribuables. Si diverses dispositions de la Convention européenne des droits de l’homme peuvent entrer en jeu quand il s’agit d’arbitrer les droits de l’enfant et celui des parents au respect de leurs convictions religieuses, celles de l’article 2 de son Premier Protocole revêtent une place essentielle dès lors qu’il faut appréhender la conciliation de ce dernier avec celui de l’enfant à l’instruction. Longtemps objet d’une jurisprudence restreinte, l’article 2 de ce Protocole connaît désormais un développement spectaculaire. Le corpus prétorien pertinent lie les deux droits qu’il contient. Il enracine l’impératif de la préservation des convictions religieuses des parents dans le pluralisme des idées, inhérent à la société démocratique, et valorise leur liberté éducative en interdisant aux Etats d’assurer la diffusion des connaissances au travers d’un prosélytisme intempestif, notamment lorsque les programmes prévoient un enseignement religieux ou des religions. Pour autant, la prise en considération des convictions des parents ne saurait remettre en cause la priorité du droit de l’enfant à l’instruction, priorité tenant à la vocation critique et formatrice de tout enseignement dans une société démocratique, y compris à l’égard du fait religieux lui-même. This article presents a structured approach to studying the privacy implications of the network neutrality debate according to art. 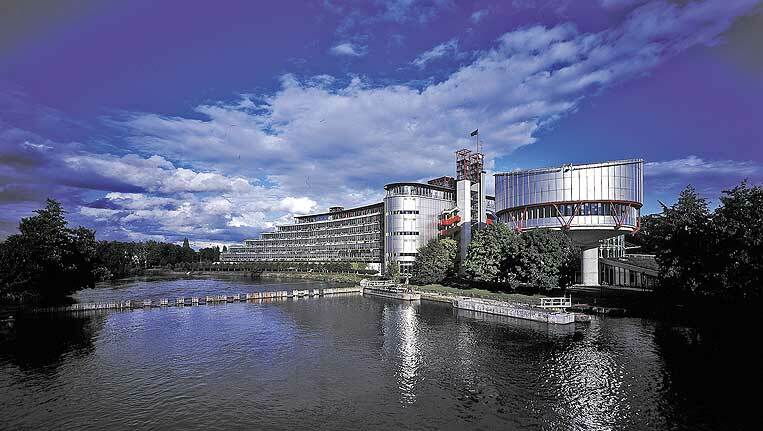 8 of the European Convention of Human Rights (ECHR). 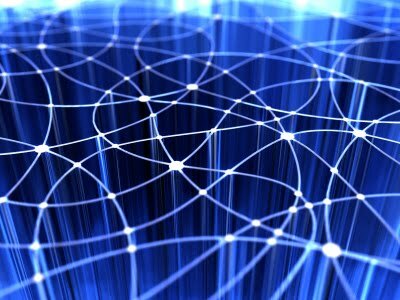 Network neutrality is a topic discussed in telecommunications policy circles, on how actively Internet Service providers (ISPs) may manage the traffic of content on their networks. While more active network management may lead to more efficient bandwidth allocation, it also strengthens the gate keeping position of ISPs — with possible negative effects in terms of fairness. It is often alleged in European public interest circles that network management that goes beyond ‘neutral’ handling of traffic violates the privacy of Internet users. However, such claims are mostly rhetorical in character and are typically not supported by legal research. We attempt to fill this lacuna by comparing network neutrality related privacy claims to art. 8 ECHR case law. Our findings suggest that an art. 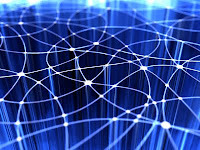 8 ECHR violation due to network management is not as straightforward as sometimes assumed, and mainly depends on the form and technique of network management, and the level of State involvement in network management. * The main rationale for accession mentioned by the agreement is increasing coherence in European human rights protection and offering individuals the possibility to access the Court in Strasbourg which can externally control the "acts, measures or omissions of the European Union." * The European Union will not accede to all (substantive) protocols. Accession (with possibilities for more in the future remaining open) will be limited to the ECHR itself, its first Protocol (including the protection of possessions and the right to education amongst others) and Protocol 6 (abolition of the death penalty). Especially the latter seems merely a symbolic act and it's interesting to note that Protocol 6 leaves open the possibility to use the death penalty in times of war (whereas the more comprehensive Protocol 13 abolishes the death penalty in all circumstances). * There will be a judge elected in respect of the European Union who will have the same duties and status as the other judges and will participate on an equal footing in the work of the Court. This means that the work of this judge will not be limited - as some expected earlier - to cases related to the EU. For the procedure of election a delegation of the European Parliament will participate, with the size of that representation being equal to the highest number of representatives to which a state is entitled under the statute of the Council of Europe. * Reflecting the fact that states can act in pursuance of EU law and that states are at the basis of the primary law of the EU, a so-called co-respondent mechanism is foreseen. This means that both EU member states and the EU can, when they so wish, ask to be involved in cases as co-respondent party (rather than as mere third intervening party). The circumstances under which this is possible are set out in the agreement. In practice this will be rare. The drafters noted that only very few cases in the past would have qualified for such a procedure (amongst them Matthews v. UK and Bosphorus v Ireland). * Whenever the EU is co-respondent and the Court of Justice of the EU (CJEU) has not yet had the opportunity to assess the compatibility of EU law with the ECHR in a particular situation, the Agreement provides for the possiblity for the EU's Court to make such an assessment "quickly" - which will mean under the accelerated procedure of the CJEU. * The possibility of inter-state cases will with the accession be broadened to inter-party cases, entailing that other states could start proceedings against the EU and vice versa. The exception are EU member states themselves, since EU law bars them from using such other international means of dispute. * The EU will also participate in the work of the Committee of Ministers of the Council of Europe and have voting rights. 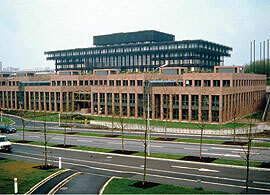 In certain circumstances, for example when EU law requires the EU as such and its member states to coordinate their actions (and thus vote similarly in international fora) the agreement includes special voting procedures in order to avoid that the 27 EU member states (a majority within the 47 state Council of Europe) would de facto overrule the others in matters such as the supervision of the execution of judgments and friendly settlements in cases involving the EU. * The agreement will enter into force three months after ratification by all Council of Europe member states and by the European Union. 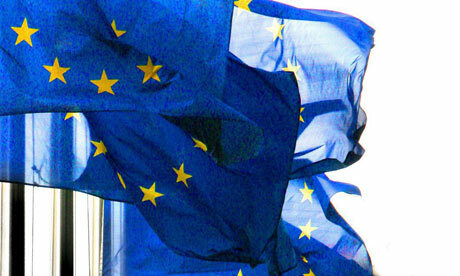 The modalities of EU ratification are dependent upon EU law. Note that this unique agreement involves many states on two sides of the negotiating table. As experience with the ratification of ECHR protocols shows, this whole process may take a few years. * Finally, and very important in practice, the EU will fund part of the budget of the Council of Europe's human rights machinery. A full list of the relevant documents (with links) can be found here.